Preventing Identity Theft in Your Business is a reliable guide to help protect companies, their customers, and their employees from the growing problem of identity theft. Real-life examples show managers and executives how to identify business, customer, and employee identity theft, how these crimes are committed, how best to prevent them, and overall, develop an honest company culture. 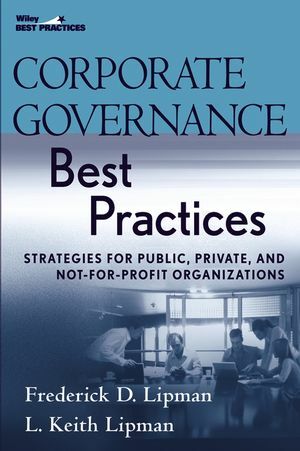 It also covers how to manage this threat in business reorganizations such as mergers, acquisitions, globalization, and outsourcing. JUDITH M. COLLINS, PHD, is Associate Professor of Industrial and Organizational Psychology in the School of Criminal Justice at Michigan State University (MSU), where she teaches information security management. She is also Director of MSU-Business Identity Theft Partnerships in Prevention and the MSU Identity Theft Crime and Research Lab, established in 1999 to work with businesses, law enforcement, and victims of identity theft. She publishes in academic journals, has been a guest on national and local television and radio shows, and is the subject of more than 100 newspaper articles. She is a frequent speaker and conducts law enforcement training throughout the United States. PART I: THE CURRENT STATE OF IDENTITY THEFT. Chapter 1: What Is an “Identity”? Chapter 2: Identity Theft: Effects on Victims. Chapter 3: Identity Crime Is Entrenched. Chapter 4: Identity Crimes Are Escalating. Chapter 5: Legal Requirements for Businesses. Chapter 6: Caveat Lector. Let the Reader Beware. PART II: IDENTITY THEFT PREVENTION. Chapter 7: The BISP Plan: Tighten Your Business Borders. 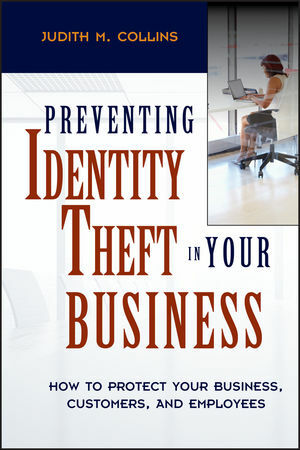 Chapter 8: Begin the Exercises: Identify Your Business Identities. Chapter 9: Securing the People Front: The Security Job Analysis. Chapter 10: The People Front: Recruitment for Security. Chapter 11: The People Front: Personnel Selection for Security. Chapter 12: The People Front: Select for Motivation. Chapter 13: The People Front: Select for Integrity and Security. Chapter 14: The People Front: Select for Interpersonal Skills. Chapter 15: The People Front: Socialization, Company Culture, and the Realistic Job Preview. Chapter 16: The People Front: Socializing Newcomers to the Honest Company Culture. Chapter 17: The People Front: Appraisal and Feedback for Performance and Security. Chapter 18: The Process Front: Secure Business Information Processes. Chapter 19: The Property Front: The E-Business Web Site. PART III: MONITORING IDENTITY THEFT. Chapter 20: The Customer Security Program. Chapter 21: E-Commerce “Best Practices” for Customers. Chapter 22: The Legislative Process. Chapter 23: The HIPAA Database. Appendix A: The Security Standard Checklist. Appendix B: Checklist of Team Prerequisites. Appendix C: Structured and Formal Brainstorming: Step-by-Step Instructions. Appendix D: Cause and Effect Analysis: Step-by-Step Instructions. Appendix E: The Security Focus Group Interview. Appendix F: The Security Job Description. Appendix G: Industrial and Organizational Specialists in Test Development and Validation. Appendix H: One Company’s Short- and Long-Term Strategic Plan. Appendix I: The Information Process: Definition, Description, and Illustration. Appendix J: The Pareto Analysis: Definition, Description, and Illustration. Appendix K: Forerunners in the Support of Identity Theft Legislation.